As a traveler, such as us, there is very little reason to visit Puno other than to explore Lake Titicaca (photos) and some of the unique island communities that are a part of it. 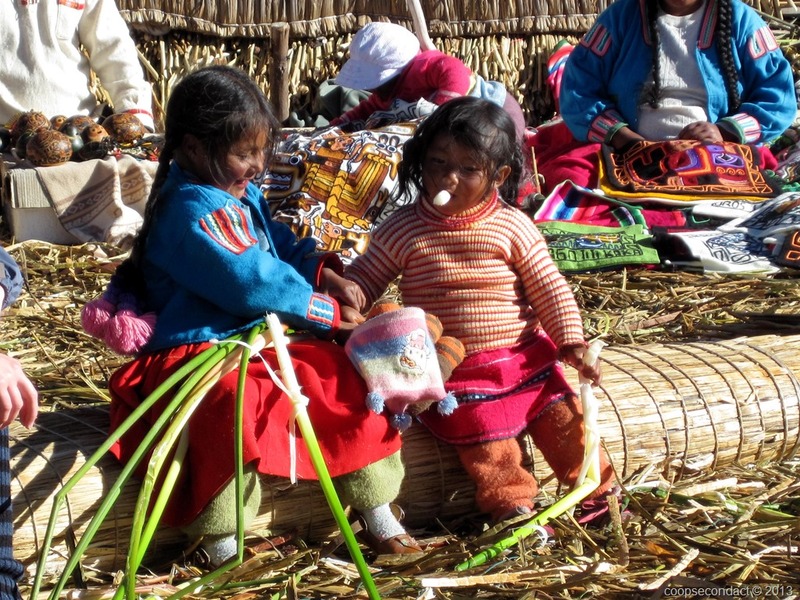 Lake Titicaca is the highest navigable body of water in the world by virtue of the fact that it has a ferry service that provides regular island transportation. The lake surface is at about 12,600 feet above sea level. The lake is very large with half of it lying within the borders of Peru and the other half in Bolivia. The Peruvians like to joke that the portion in Peru is “Titi” and the portion in Bolivia is “caca”. There are approximately 30 islands on the lake plus a large group of very unique “floating islands” called Uros, more about them later. We took a guided day trip to visit one of the larger islands called Taquile plus the floating islands. 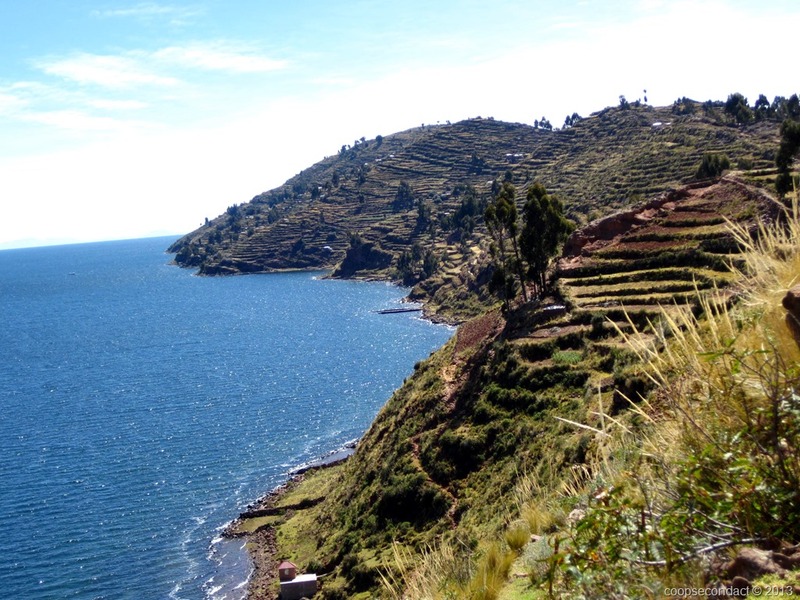 Taquile is a 7 square kilometer island with about 2,200 residents. It’s highest point is about 200 meters above the lake level making it about 13,200 feet above sea level. 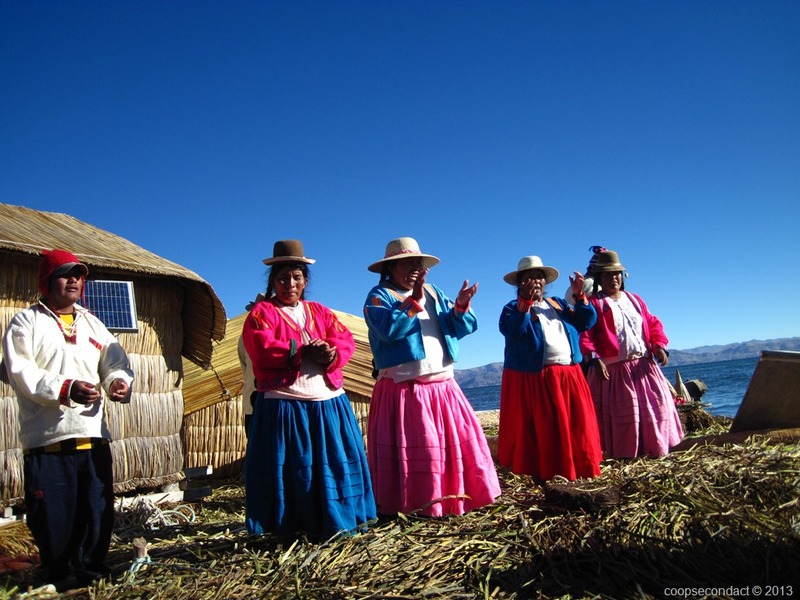 It provides a commanding view of the lake surrounding it as well as the snowy peaks of Bolivia’s Cordillera Real on the far shoreline, the peaks of which top out at around 20,500 feet. The residents collectively own the island and they have a quite unique system of community organization and self government. And by the way, the water surrounding the island is crystal clear and the island is completely free of trash. They are organized into a series of 26 communities each with a community leader. Within the community, they decide which crops to grow, organize their handicraft activities and enforce adherence to the island’s rules which are simple yet straightforward like, no lying or stealing and don’t be lazy (we were told that beginning at 4 years of age, children are taught to wash their own clothes in the lake). They have a fascinating tradition of handicrafts and many of their creations are tightly connected to their social customs. For example, only the men do the knitting and the quality of their knitting is a key factor in the choosing of a mate. Also, single men wear a hat that is red and white, while married men wear an all red hat. The community leader and his entire family have a unique wardrobe that readily identifies them as such. The residents have a long agricultural history growing potatoes, corn and various grains. Virtually the entire island is terraced for this purpose. These terraces were originally built by the Incas beginning in 600 A.D. 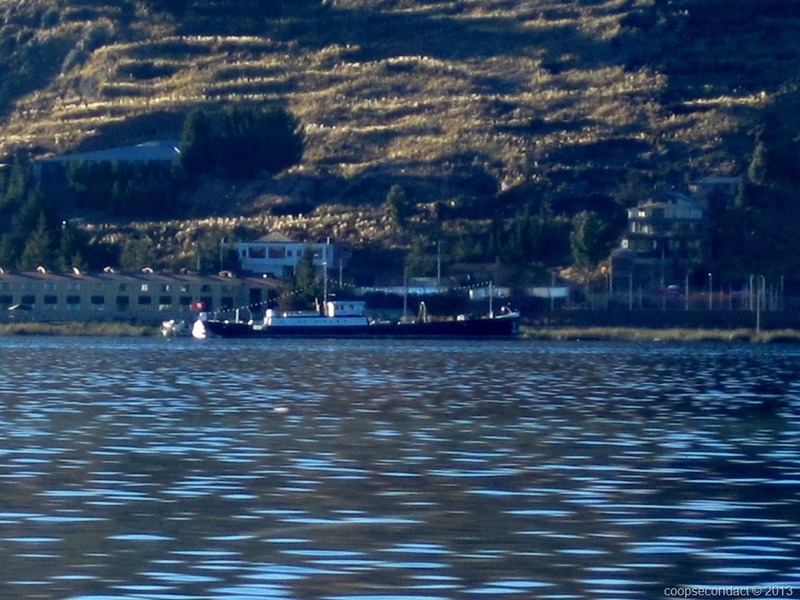 In addition to agriculture and handicrafts, they own a small fleet of boats that are used to ferry tourists from Puno to their island and of course, some restaurants to feed them when they get there. However, any one family can participate in only one of these forms of business. They organize in a manner to ensure every family has an equal opportunity to support themselves. It was a fascinating glimpse into the life of an interesting group of people with long and rich traditions. They adhere to a set of principles that revolve around community participation and fairness. Large areas of the shallow portions of Lake Titicaca are covered by totora reeds. Legend has it that the ancestors of the residents of these islands hid in the reeds to avoid the more aggressive Incas. They eventually devised a method to construct a floating island using the reeds as the building materials. 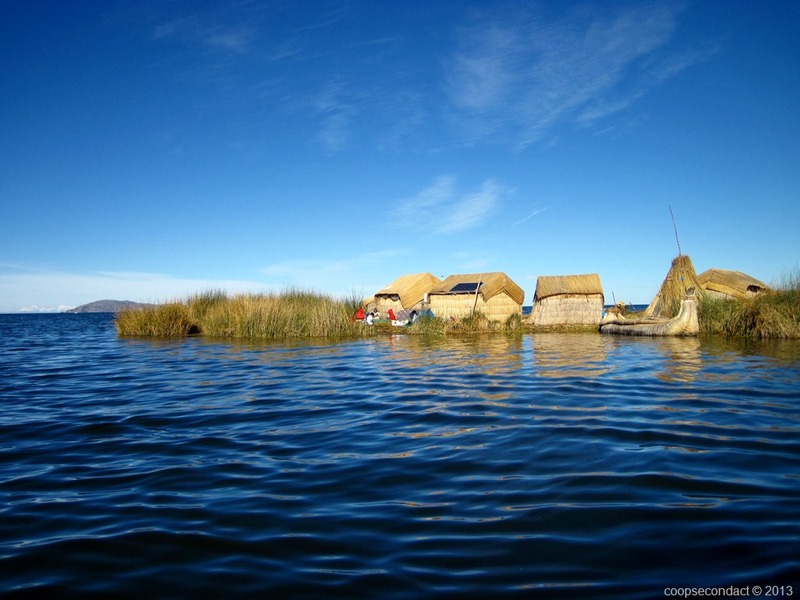 Today, there are about 80 of these unique floating reed islands on Lake Titicaca with each one housing on average about 10 families. They use the root structure of the reeds to form the “foundation”, tying them together with rope. They then begin layering the reed stalks until the whole thing is about 6 – 10 feet thick. The island is anchored by tying it to 6 or 8 stakes stuck into the lake bottom. It generally takes about 1 year to build a new island and they must add to it regularly in order to replace older decayed layers. The islands can be moved. To do this they would simply pull up the stakes and hire some boats to tow them to a new location. They would do this if they are not able to find enough fish near them or if the water level dropped to a point where the foundation of their island did not have enough clearance with the bottom of the lake. If it became grounded it could quickly take root and could not be moved and would become flooded when the water level rises during the rainy season. The island has no “border”, it just consists of reeds meeting the water. Our guide said that, sadly, sometimes there are babies that fall into the water. If they make it past 2 years of age they are considered “survivors”. It’s difficult to describe what it is like to see these tiny islands with their reed homes floating in the lake. You see the families all milling about the small space, the kids playing together and some of the residents preparing their fishing nets before taking them out in the evening. Walking onto the island, you know that you are walking on a think bed of reed stalks because it is very springy. Your footsteps sink about 4 – 6 inches. They make all kinds of things from reeds, their homes, boats and handicrafts. Also, the core of the stalk is edible and is a staple in their diet. In between the two island visits, we were taken to the Capachica Peninsula, which is part of the mainland, for lunch. The lunch was prepared using a traditional Peruvian method called “Pachamanca”. This refers to the style of cooking in an earthen oven lined with hot stones. 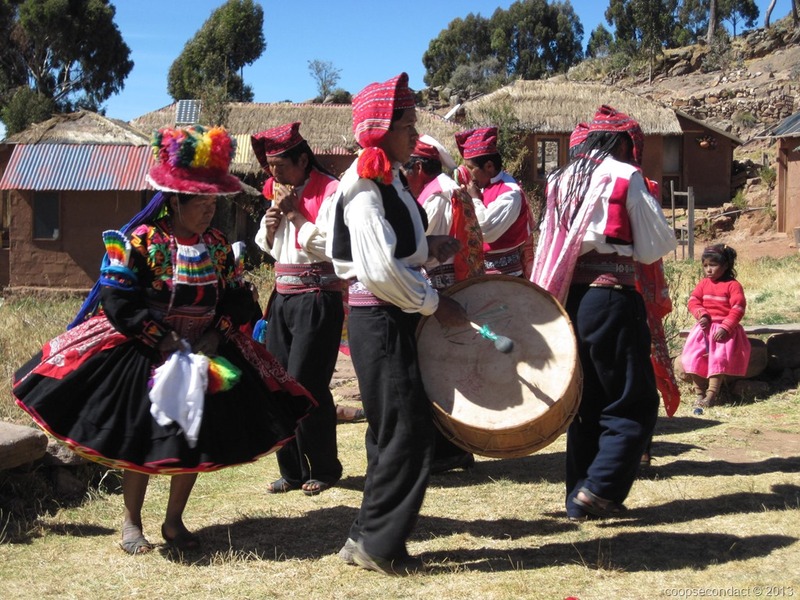 Pachamanca is used for any special occasion, childbirth, weddings or community festivals. In the mid 1800’s, the Peruvians became concerned about protecting their part of Lake Titicaca from incursion by the Bolivians. They commissioned the building of two coal powered steamships by a builder in Birmingham, England. In 1862 the Yavari and its sister ship were completed and shipped in parts to Northern Chile. From there the parts were hauled over the Andes by mule and llama, which took six years. Following many years of service, the Yavari was left to rust. It was resurrected in 1982 and is now anchored along the lake shore and functions as a bed and breakfast. 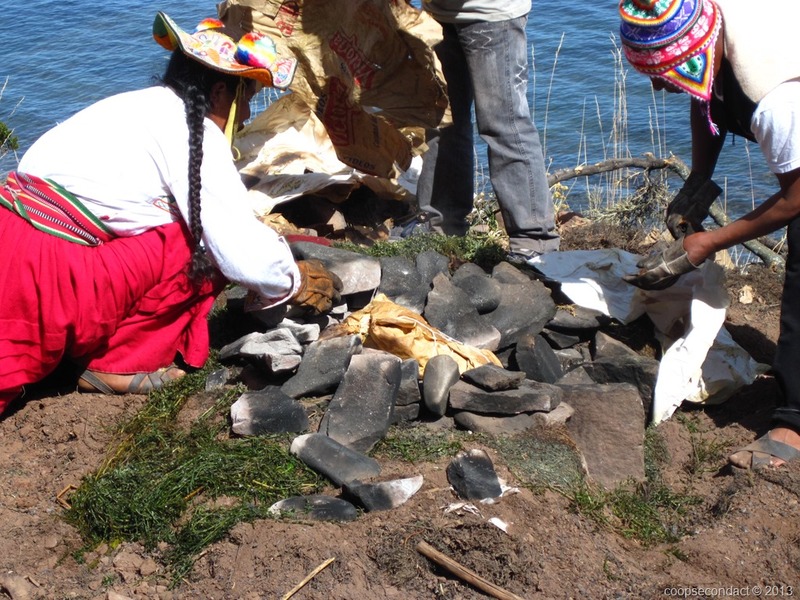 Our visit to Lake Titicaca provided a fascinating glimpse into some of the unique groups that inhabit this very special part of Peru. Any visit to this part of the world really should include a stop in Puno and Lake Titicaca. Truly fascinating! The floating islands are amazing and the island held together by community rules is certainly a lesson in human interaction! I especially like the joke about the name of the lake! LOL! Do the island residents allow picture of them taken freely or is charging for a picture part of their livelyhood? What do they use with the solar panel for? I can’t imagine they have very many electronic equipment. Since we were with a tour group and they were receiving some compensation, we could take photos freely. They use electricity for lighting.